Zionist Union chairman slams Yesh Atid party, says his is the 'only option' for replacing PM Netanyahu. 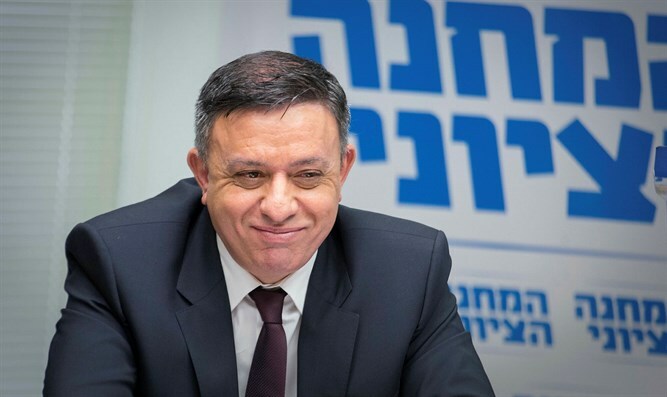 Zionist Union party head Avi Gabbay responded Wednesday to a poll showing that the Yesh Atid party would receive three more seats than his own party were elections to be held today. The poll showed the leading Likud party as receiving 33 seats, with runner-up Yesh Atid receiving 18 and the Zionist Union receiving 15. "Yesh Atid has raised a political white flag, and wants to join Israeli Prime Minister Binyamin Netanyahu's government," Gabbay told Radio 103. "This leaves the Zionist Union as the only option for replacing Netanyahu's rule." In the interview, Gabbay also spoke about his Tuesday meeting with Pope Francis. "The Pope wanted to meet me," he said. "We spoke about the situation in the Middle East, and he told me that if they attack the Jewish nation and the State of Israel's right to exist, that is anti-Semitism for the sake of anti-Semitism." Gabbay attacked Yesh Atid on Tuesday as well, claiming that Yesh Atid Chairman Yair Lapid "flip-flopped" and that his party are "traitors to the the voters and the whole camp."